Mr. Prats has represented many clients on claims for defective construction, yielding judgments, awards or settlements in excess of $100 million. The lead designer of a space shuttle launching facility in Cape Canaveral, Florida. The contractor for a power plant in Guatemala City, Guatemala. The manufacturer of equipment for a utility project in Nicaragua. The general contractor of a $200 million-plus resort in Dade County, Florida. The general contractor of a large condominium and resort facility in Destin, Florida. The lead designer of a $70 million-plus highway expansion project in Central Florida. Luis Prats is a board certified construction lawyer with more than 30 years of experience representing public and private owners, developers, contractors, and design professionals on all types of construction matters. He has tried, arbitrated or mediated hundreds of construction disputes. Mr. Prats lectures regularly on the subject of construction law and has published or presented numerous papers on the subject. He is also a contributing author of three books on construction law. He is a fellow of the American College of Construction Lawyers, has been recognized by Florida Super Lawyers as one of Florida’s Top 100 Lawyers, and is listed in Best Lawyers in America, Florida Trend’s Legal Elite, and Chambers USA Guide to America’s Leading Business Lawyers, among other professional rating publications. 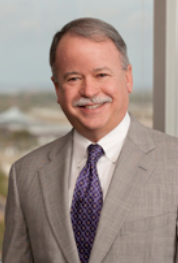 Mr. Prats is the Tampa office managing shareholder and construction practice group co-leader. Client Article: “In Construction Disputes, Tell the Story” (December 4, 2012). Client Article: “Using Technology to Resolve Construction Disputes,” (August 9, 2012). “International Mediation,” International Construction Law, ABA Forum on Construction Industry (2009). “Inside the Minds: Negotiating Construction Law Disputes,” Aspatore (2008). Co-Author, “Rights and Liabilities of the Owner, Architect and General Contractor,” Chapter 2 & 3 in Florida Construction Law and Practice, The Florida Bar Journal, 5th Edition (2006). “Post Embargo Cuba: Seizing the Opportunity for Tampa Bay”, World Trade Center (April 1994). “Design Professional Liability,” Chapter 5 in Florida Construction Law: What do you do When?, National Business Institute (1993).